Electric Home with Stunning Views! Garage: Single, Attached "280 sq.ft"
Lot Size: 13375 sq. ft. 107ft x 125ft "100x114"
New Listing...in Vista del Sol, an Electric Homes Only community in El Dorado Ranch! Offering a comfortable, open floor plan with a Large Master Suite on the north side of the house while the Guest bedroom and bathroom is situated on the south end. The kitchen has a window with Sea of Cortez views along with a refrigerator, propane oven range, dishwasher, and double sink. Currently there is a dining table with seating for up to six people, although also available is bar height seating at the peninsula bar. There is a large fireplace in the living area for the cool winter evenings and the Master Suite is generously sized. Just off of the dining area is a large laundry room with shelving for storage and there is additional storage available next to the kitchen. The covered and tiled rear patio is a relaxing area to enjoy San Felipe's moderate temperatures. Take advantage of a built-in BBQ station just off of the patio or you can ascend to the rooftop deck for stunning panoramic views of The Sea of Cortez and The San Pedro Martir mountain range with Mt. Diablo in the distance. The single car garage is nicely sized but there is room to expand on the south side of the property if you wish. Partially Furnished and priced at $129,000, this home just needs a little personalization to be your perfect San Felipe home! This property is under the El Dorado Ranch Master Trust. 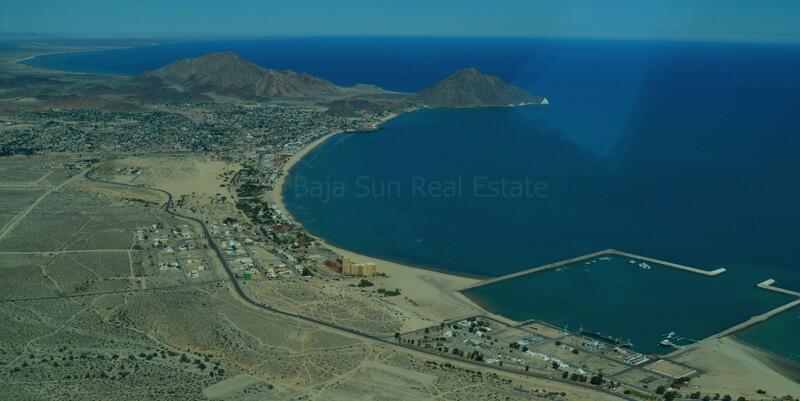 Listing Info, Phots, and Community Description are Exclusive Property of Baja Sun Real Estate, not to be reproduced or copied without Permission 2013- 2019.